When Cleveland State University sophomore Donnetta Monk earns her degree in a couple of years, she’ll have a lot of options. Perhaps she’ll go directly into law school, as is her current plan, and prepare for a career in immigration law. Or, maybe she’ll pursue another passion first and head abroad to teach English. It’s even possible that Donnetta will decide on a path, post-CSU, that she hasn’t considered yet. However, regardless of her first move out of college, she will be on track to achieve something very significant just by virtue of completing her undergraduate degree – higher annual wages and better overall lifetime earnings than would have been possible for her as a high school graduate. A college education has always significantly improved the prospects of those who attain it, and its importance is becoming even greater with massive changes occurring in the economy. According to the Ohio Department of Education, nearly two-thirds (64 percent) of all jobs in the state will require a postsecondary degree or credential by 2020. Unfortunately, the number of Ohio students who continue their education past high school is extremely low. 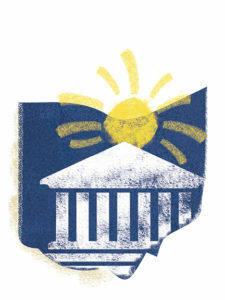 Ohio sits in the bottom third of all states in higher education attainment, according to a September 2016 report from the Higher Education Compact of Greater Cleveland, an organization that brings together community groups, educational institutions and other local stakeholders to work toward getting more Clevelanders into and through college. Just 37 percent of Ohioans in 2014 had any kind of postsecondary degree (associate’s or higher), according to the report. 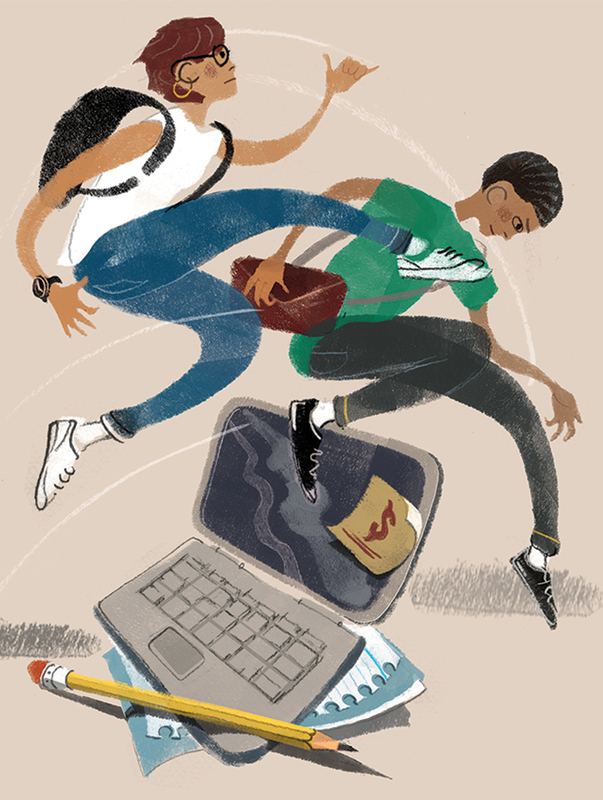 If you look at the numbers for students of color in Ohio, the situation is even more dire. Only one-quarter of African Americans had a college degree in 2014, and Hispanics fared even worse, with just 24 percent having a degree of associate’s or higher. One of the biggest barriers Ohio students face when considering higher education is cost. The main need-based source of funding for students, federally, is the Pell Grant, which has become more restrictive. Less money is available than in years past, and students may now only use Pell Grants in fall and spring. If students need to take summer classes to stay on track, they must either pay out of pocket or take out a loan to pay back later. “Most states have a program that supplements federal financial aid programs. We have a program called OCOG (the Ohio College Opportunity Grant), but that program has been dramatically cut and provides very limited need-based support to students,” says President Ronald M. Berkman. Often, students need federal aid even while working, and it’s not uncommon for students to ‘max out’ on that aid before finishing their degree, leaving many thousands of Ohio students to plug funding gaps with student loans. According to Philanthropy Ohio, 66 percent of Ohio students take out loans to pay for college. Their average debt load by graduation is more than $30,000, the 10th largest in the nation, although the average debt of a CSU student at graduation is about 9 percent lower than that statewide figure, at less than $28,000. According to President Berkman, there is one way, above all others, for students to keep their college costs down, and that is to finish their degree in four years. That’s not only because of more stringent rules regarding financial aid; it’s a simple matter of arithmetic. Given the challenges students face with graduating on time, though, this clear answer is not as easy as it sounds. At CSU, a set of nationally recognized success initiatives has been put into place over the past several years aimed at helping students get from their first semester to graduation as quickly as possible and with the least amount of debt. One of the most significant changes is the implementation of multi-term registration, says President Berkman. “This had never been done before. Students would typically register one semester at a time, and they had no knowledge of what was going to be available from semester to semester. Now, they can register for three semesters at a time — fall, spring and summer. And when they register for those, they are guaranteed those courses,” he says. This helps ensure that students can take the courses they need, exactly when they need to take them. Added to multi-term registration is the implementation of demand-driven enrollment, where students can be put on wait lists if the classes they need are full, and when enough students get on a wait list, the University creates a new section to accommodate them. To further keep students on track, the degree audit digital tool allows students to monitor the requirements of their programs of study to make sure they are taking the correct courses and meeting their requisites and pre-requisites. To further encourage students to take the kinds of course loads most likely to get them to graduation on time, students can take up to 18 credits per semester and pay the same amount as those who take 12 credits. Taking more credits per semester can certainly help students finish on time; for some, it could even mean an early graduation, which further lowers the cost of attendance. On the financial assistance side are the institutional scholarships that CSU provides to high achieving students. “Let’s just take the Presidential Scholarship, which is $6,000 a year, eligible for four years. That’s $24,000 that is available to students for their educational costs. And what we see is that 88 percent of these students are successful and continue from year to year,” says Cindy Skaruppa, vice president for enrollment services. Still, even with scholarships, many students start running out of money as they near graduation, and for them, the Radiance Scholarship was instituted in 2011. Funded solely by private support, Radiance provides “last dollars” for students who need a bit more support to get over the finish line. Over the past six years, more than $6.7 million has been raised and more than 1,520 Radiance Scholarships have been awarded. 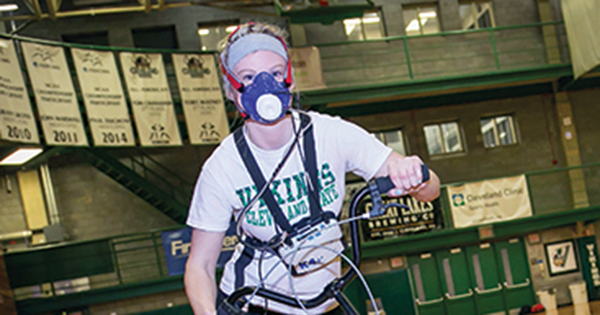 Just last year, an additional scholarship, called The Last Mile, was introduced for students who are within one or two semesters of graduating. 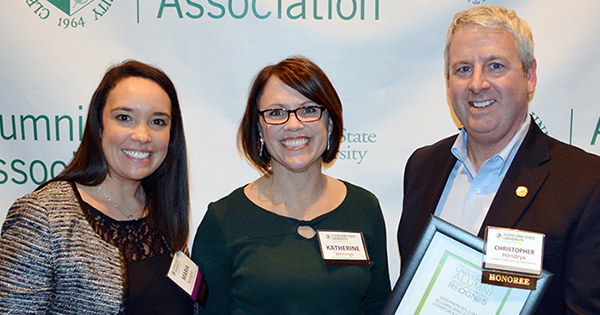 In addition, two years ago, CSU launched ENGAGE: The Campaign for Cleveland State University with the goal of raising $100 million to support scholarships and student success. 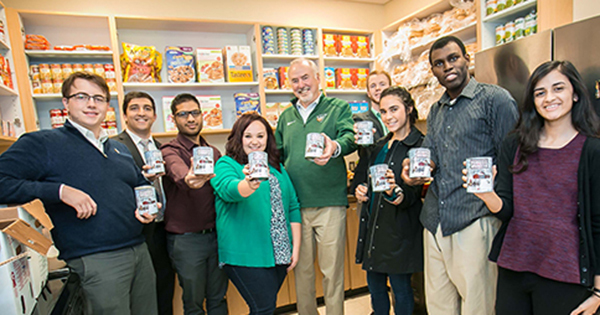 This funding has been critical to CSU’s efforts to help students graduate on time. Of course, more can still be done. New initiatives under development include support for students transferring from community college and for those who are experiencing crises that threaten their ability to continue their studies. “The bottom line — CSU is determined to help students succeed and graduate with as little debt as possible. We’ve dedicated ourselves to helping students save time and money while earning degrees that prepare them for career success. In turn, we’ve seen dramatic increases in retention and graduation rates,” notes President Berkman. For all of Cleveland State’s efforts, however, Ohio will not be able to fully meet the needs of the changing economy without greater state support for higher education. Adds President Berkman, “Funding for higher education and closing the talent gap must become priorities for Ohio. State investment is critical if Ohio is to provide the educated workforce to attract new employers. As chair of the Inter-University Council of Ohio (IUC), a consortium of the state’s public universities that is working to better inform state leaders and the public about the value of a college education as an engine for economic growth, President Ronald M. Berkman is working with other Ohio universities toward creating changes that will benefit all Ohio college students. In his 2017 State of the State Address, Governor John Kasich urged Ohio’s institutions of higher education to innovate for greater efficiency. The IUC, under President Berkman’s leadership, is doing just that, with initiatives aimed at providing all in-state undergraduate students the opportunity to reduce the cost of earning a degree by five percent; instituting completion plans that outline specific strategies for increasing the number of students earning postsecondary education credentials, particularly those needed for high-demand, living-wage occupations; and developing efficiency reviews and implementation plans designed to improve operational quality and enhance academic success for all students. This work is critical if Ohio is to increase its number of college graduates and take its place as an economic powerhouse and innovation hub for the Midwest and the rest of the United States. Nothing is more important than supporting these efforts, whether by increased state support of higher education innovation, or with greater investment by individuals and communities in students’ educational success.